Thompson, Kay; Drawings by Hilary Knight. Later printing of the author’s first book. Slim quarto, original illustrated white cloth, illustrated throughout. Presentation copy, inscribed on the front free endpaper, “To Karol! Best Wishes from Hilary Knight and Me Eloise!” Fine in a fine dust jacket. Illustrated by Hilary Knight. "I am Eloise. 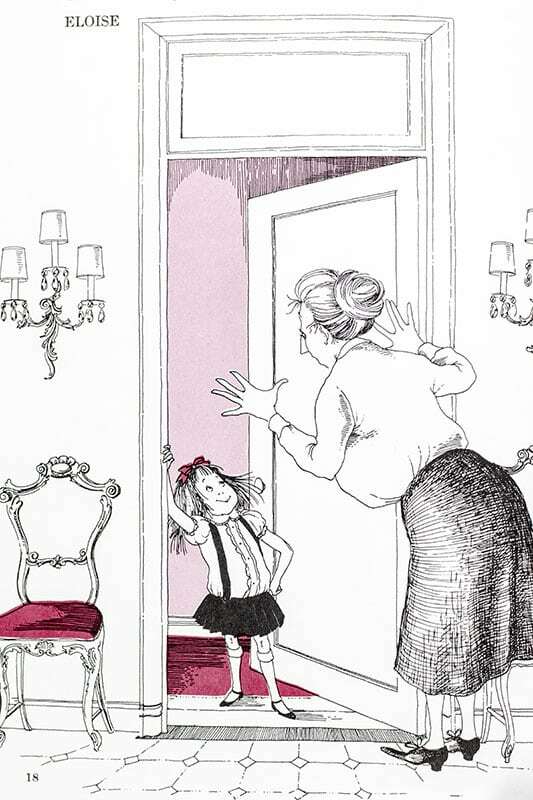 I am six", So begins the start of the famed first book by Kay Thompson's "Eloise". "At rehearsals of her act with the Williams Brothers, Thompson (who was a professional singer) prized punctuality. Then one day she was late. In a high, childish voice that she had never used before, she made her apology. 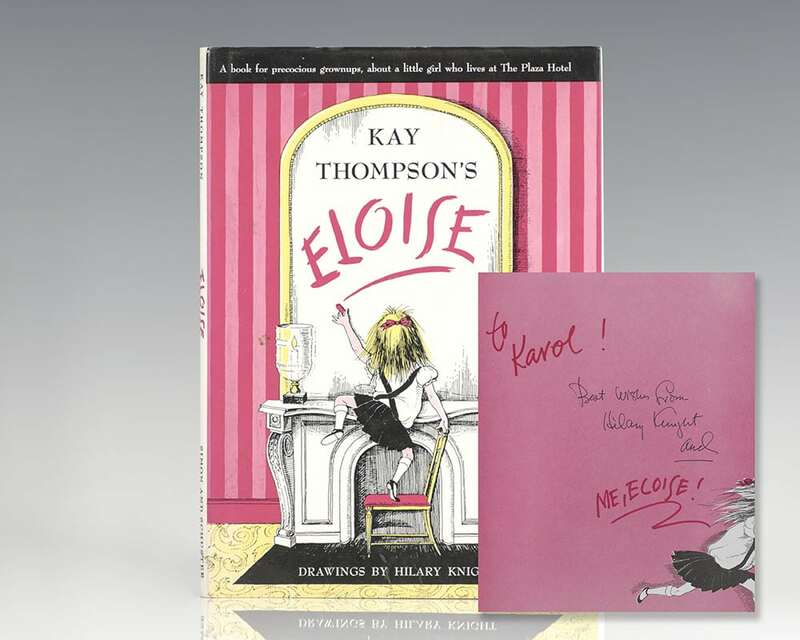 One of her co-workers said, ‘Who are you, little girl?’ Thompson replied, ‘I am Eloise. I am six.’ The others joined in the game, each assuming a juvenile identity, and it became a regular rehearsal pastime" (New York Times). A book soon followed, three more were soon released. First edition of the author’s first book. Slim quarto, original illustrated white cloth. Light toning, else near fine in a near fine first issue dust jacket with a small closed tear to the rear panel. Inscribed by the author, “For my dear Paul- from/ Eloise herself and The Author” and also signed by the illustrator, “and Hilary Knight in 2007.” A very sharp example, rare signed and inscribed by both Kay Thompson and Hilary Knight.